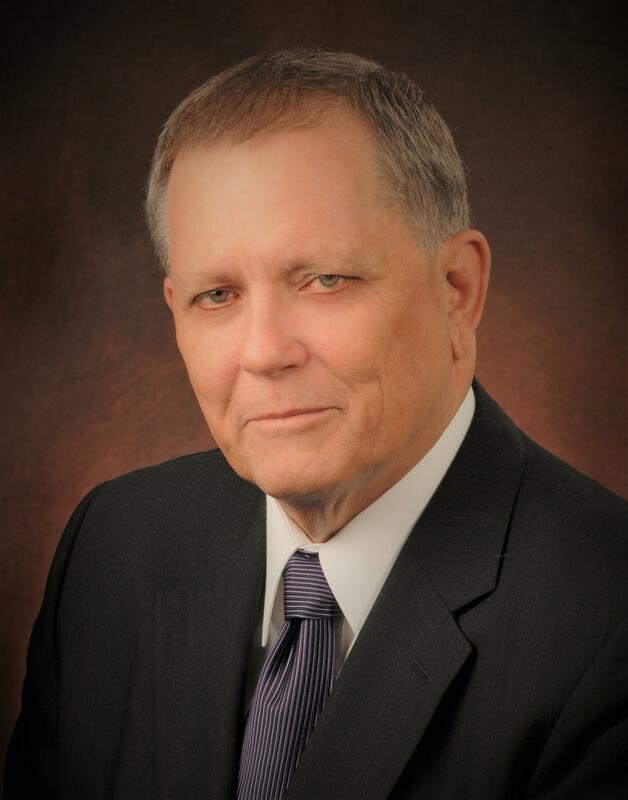 DR PATTILLO / SFASU - It’s been a sad week for Stephen F. Austin State University in Nacogdoches, Texas as its President – Dr. Baker Pattillo died Saturday at home. He had just recently stepped down from his position due to illness. Dr. Pattillo began his career at Stephen F Austin in 1966 when he became Assistant Director of Placement and Financial Aid. He would continue to serve in various positions until he was officially named President in 2007. David Alders is former chair of SFA’s Board of Regents. Yesterday he reflected on Dr. Pattillo and his contributions to the University. "His work-life and private-life were inextricably linked. He didn't ever leave the position of University President," Alders explained. "And that was his passion, he really focused on what is needful for SFA and his private time and private life were fully integrated into his job." While SFA President, Dr. Pattillo guided more than $425 million in campus projects as several buildings were constructed during his 11 year tenure. 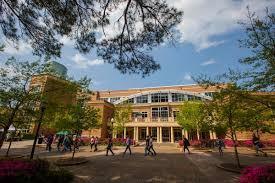 $425 Million in campus projects were guided by Dr. Pattillo during his tenure as president of SFASU. "Dr. Pattillo's legacy is not just in bricks and mortar,"Alders explained. "It's certainly in lives of students in preparing them for their own futures, for their own careers. To be high-acheiving, responsible citizens in our democracy. I think that's what really Dr. Pattillo understood SFA was all about." Dr. Baker Pattillo is survived by his wife Janice Anderson Pattillo, his daughter Paige Pattillo Brown and Son In Law- Todd Alan Brown and grandson Jackson Baker Brown. Dr. Patillo's funeral is schedule for today 11am in the Grand Ballroom in the Baker Patillo Student Center on the Campus of Stephen F. Austin State University in Nacogdoches, Texas. 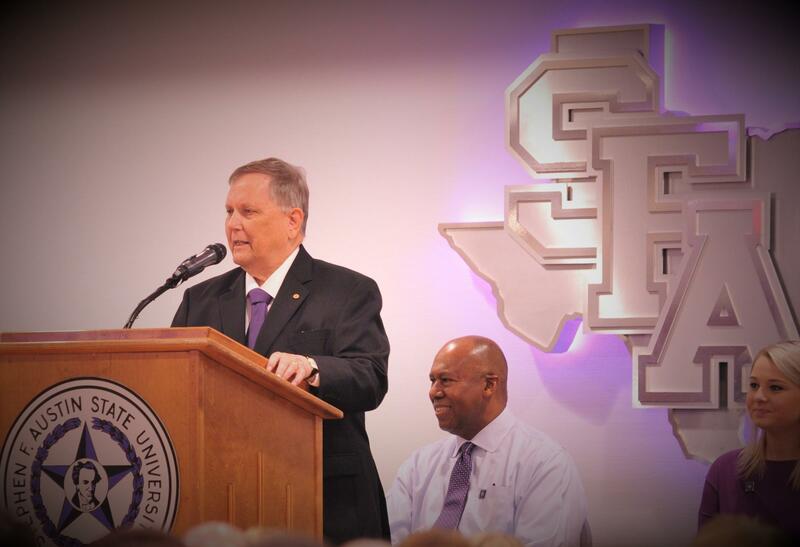 Dr. Baker Pattillo addresses an assembly on the SFA campus during its 95th anniversary. DR PATTILLO / SFASU - It’s been a sad week for Stephen F. Austin State University in Nacogdoches, Texas as its President – Dr. Baker Pattillo died Saturday at home.